AGC Charities Inc., the charitable arm of the Associated General Contractors of America, donated $265,000 to fund a new "National Healing Quarters" for Warrior Canine Connection. The funds will help cover the cost of renovating a historic dairy barn in Boyds, Md., to serve as the new headquarters for the group that provides therapy for veterans with invisible wounds like PTSD and service dogs for other wounded veterans. "It has been an honor to help build a new home for a group that is doing so much to rebuild the lives of wounded veterans," said Michael Anderson, chairman of AGC Charities and senior vice president of American Global Inc. "Considering how much Warrior Canine Connection has already accomplished while working out of a glorified garage, it is easy to see how its impact will grow once its new headquarters opens." Anderson noted that AGC Charities selected Warrior Canine Connection to be the beneficiary of the group's Centennial Autodesk Operation Opening Doors program, which supports the renovation of facilities for worthwhile groups. He added that AGC Charities spent the past two years collecting donations from hundreds of its members and chapters from across the country, including significant contributions from members of its own board, as well as Caddell Construction, the AGC of Ohio and the Francis Raab Foundation. Click here for a complete list of donors. The newly donated funds will help cover some of the costs of converting the pre-World War II barn into a facility that provides offices for Warrior Canine Connection and overnight facilities for veterans learning to become canine trainers or who are about to receive their new service dogs. He added that AGC Charities also has lined up members who have either donated or discounted design services, while member firm Davis Construction of Rockville, Md., is providing discounted general contracting services. 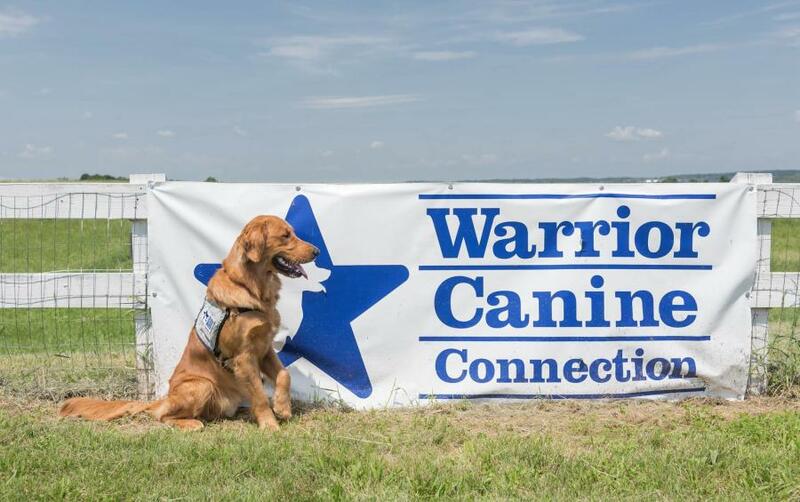 "When we moved our headquarters to this site, we knew we had a lot of work ahead of us, but we also knew we had a total gem of a facility," said Rick Yount, the founder of Warrior Canine Connection. "After many years of planning, this barn is now being restored, a huge undertaking that wouldn't be possible without the help of partners like AGC Charities Inc."
Anderson visited the Warrior Canine Connection facility Feb. 27 to present the check and get a tour of construction already under way. Contractors began work on the exterior renovation earlier this year; click here to view progress. He noted that AGC Charities and Warrior Canine Connection would continue to raise funds in support of the project. "While getting a project started is important, finishing it is essential," he added.